Margaret Ann Hubbard could not be stopped. She graduated High School at 15, the Duluth Normal School at 17, and supported herself an her widowed mother while attending college. When she couldn’t find a job teaching, she turned to her talents and earned her living writing plays, stories for young adults, and mystery novels—and then married one of Duluth’s great civic leaders. Hubbard’s father was William Warren Hubbard, an Ohio native who rose to the rank of lieutenant fighting for the Union during the Civil War. He was taken prisoner in the battle of Harper’s Ferry and spent some time in the infamous Andersonville prison. He and his first wife produced eight children but when she died he moved his brood to North Dakota and established a farm outside of Souris, in Bottineau County, near the Canadian border. There he met Canadian Mary Ann Teevans, a school teacher living on a neighboring farm—and 23 years younger than William. They married and had two daughters, Helen, born August 7, 1908, and Margaret Ann, born October 17, 1909, in Souris, North Dakota. The family moved to Duluth in 1924, residing at 918 East Fifth Street. Helen and Margaret Ann attended Central High School, both graduating in 1925. Margaret Ann, often referred to as “Dolly,” then attended Minnesota State Teachers College in Duluth, intending to become a teacher. When she graduated after two years at just 17 years of age, she was too young to teach, so she worked at various odd jobs. When she turned 18, she was hired to teach second grade at Superior’s Cooper School. She decided that she didn’t like elementary teaching and quit after two years, moving to Minneapolis with her recently widowed mother to attend the University of Minnesota. Their only income was William’s $25-per-month Civil War veteran’s pension and a student job Hubbard landed at the college. Hubbard graduated with a B.S. degree in English in 1932, but found little opportunity for work: It as the height of the Great Depression, and teaching jobs were scarce. She and her mother returned to Duluth where Margaret Ann worked odd jobs to make enough money to get by. 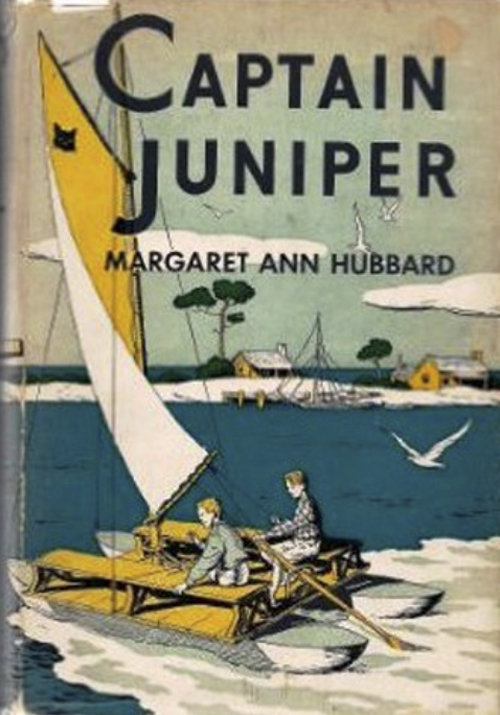 One of her former professors commented on her talent for writing, especially reminiscences of her childhood, and with her mother’s encouragement Hubbard began writing. She first wrote dramatic adaptations of children’s stories for the Duluth Children’s Theater. Several of these plays were selected for production by theaters around the country, including the Pasadena Community Playhouse in California and the Shoreham Children’s Theater in Boston. Four of her plays were published by Walter H. Baker in 1936. About this time, Hubbard decided she couldn’t make a living writing plays, so she went to work finding a subject suitable for a book. While digging through the stacks at the Duluth Public Library, she found some information on the history of Pembina, North Dakota, a town near the area where she grew up. She decided she needed to know more about Native Americans for the writing project so she spent a summer living among the Ojibwe on the Leech Lake Reservation. She followed this method of spending time on site to research many of her future novels. The experience resulted in her first novel, Little Whirlwind (1940), targeted at 10- to 14-year-old readers, which today would be considered Young Adult or YA. Little Whirlwind was followed by fifteen other YA novels or fictionalized biographies, the last in 1964. Two of the novels take place in the Zenith City: Captain Juniper (1947), set in 1871 Duluth, and Halloran’s Hill (1953), a story of railroading in Duluth and Proctor circa 1900. Hubbard also wrote four mysteries for adults, beginning with Murder Takes the Veil (1950), which she wrote after spending some time living in New Orleans. In 1957 she dramatized Murder Takes the Veil for the Dramatic Publishing Company, and the first public performance of the play was given by the Drama Club of Duluth’s Cathedral High School. Hubbard received numerous awards for her writing, including membership in the Gallery of Living Catholic Authors and a $1,200 fellowship from the Bruce Publishing Co.
During World War II, Hubbard wanted to help with the war effort so she enrolled in a radio communications course, passed the necessary exam, and worked as a radio operator for Northwest Airlines at the Williamson-Johnson Municipal Airport in Duluth. Her job duties included communicating with pilots, handling the mail sacks, fueling the planes, and repairing the radio equipment when necessary. Perhaps this call to civic duty is what attracted her future husband, Joseph Priley. Priley was a tireless civic booster who encouraged others to take pride in their community. The two wed July 2, 1955, and settled in at at 203 Eighth Avenue East. 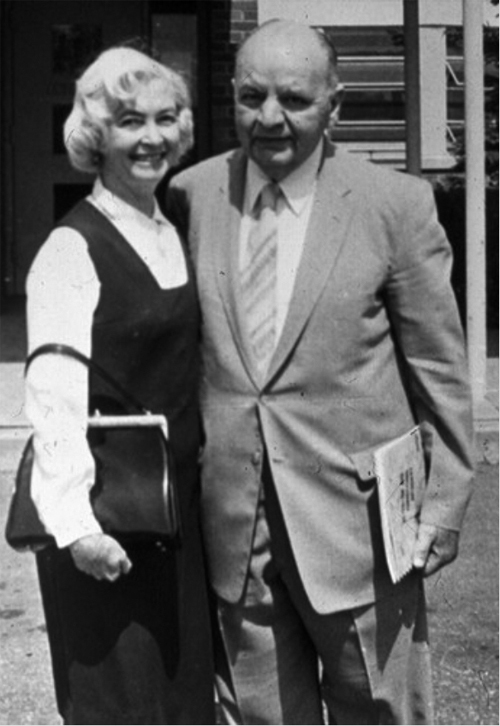 Joseph became a St. Louis County commissioner in 1959 and, working with Margaret Ann, was responsible for the construction of the fountain and the flower gardens in the Civic Center and for starting the annual City-Wide, City-Pride clean-up campaigns. The fountain was later renamed the Priley Fountain. Joseph died on August 5, 1981. Margaret Ann eventually moved into Duluth’s Benedictine Health Center and died there at the age of 83 on November 1, 1992.